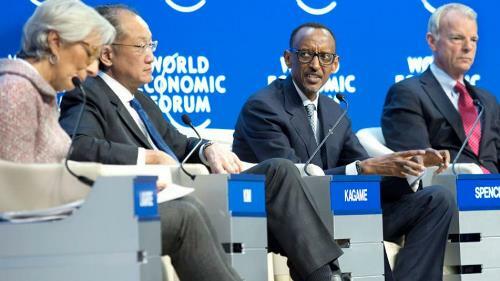 President Paul Kagame of Rwanda, currently attending the World Economic Forum (WEF) annual meeting in Davos, Switzerland, on Wednesday said increased private investment in technology and industrialization will help put Africa on the path to balanced and sustained development. Speaking on the sideline of WEF in Davos, the Rwandan leader who is also the current Chairman of African Union (AU) said for Africa, “the most important thing is now to adopt a posture of active responsibility toward shaping our place in the world”. "International cooperation is indispensable. It was the brutality of the two World Wars that gave rise to the multilateral system which lately seems to be in crisis, as the World Economic Forum has been highlighting," he said. It is expected that the Rwandan leader will also attend a luncheon to be hosted by WEF chairman for world economic leaders, according to the statement issued in Kigali.